Shopify allows you to export and import your products to a CSV so that you can make necessary changes, such as updating pricing or inventory, then reimport your products. You can do this while safely maintaining your Product Customizer options, but there's one setting you need to pay attention to so you don't lose any assigned options upon import. 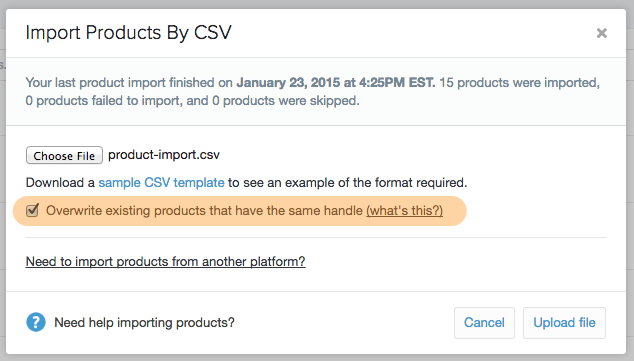 When you click "import" to upload your product CSV, you'll need to ensure that the "Overwrite existing products that have the same handle" setting is checked. This will cause your product changes to be merged with the existing product, which will leave Product Customizer options unaffected.